February 20 News | Jobs in Film, Radio, Audio. Recording Connection mentor Steve Catizone is a true, all-around industry pro. With years of experience on both coasts—he ran Sanctum Sound in Boston for 15 years, and also worked at the world-famous Serenity West Studios in Los Angeles—working with major artists is par for the course for Steve. These days, he’s back in Boston, where he recently launched his new studio, Infinite Music. As a mentor with us for a number of years, Steve has a knack for rewarding students’ work ethic and availability with opportunities—including sometimes getting them on big sessions with major artists. In fact, one of his former students was recently hired as one of the main engineers for the new studio! In the interview below, Steve takes a few minutes to point out some of his students’ successes, including the opportunity to work one-on-one with British dance-pop superstar Charli XCX and celebrity author/columnist Dan Savage. RRFC: So talk to us about the new studio. What’s your setup like over there? 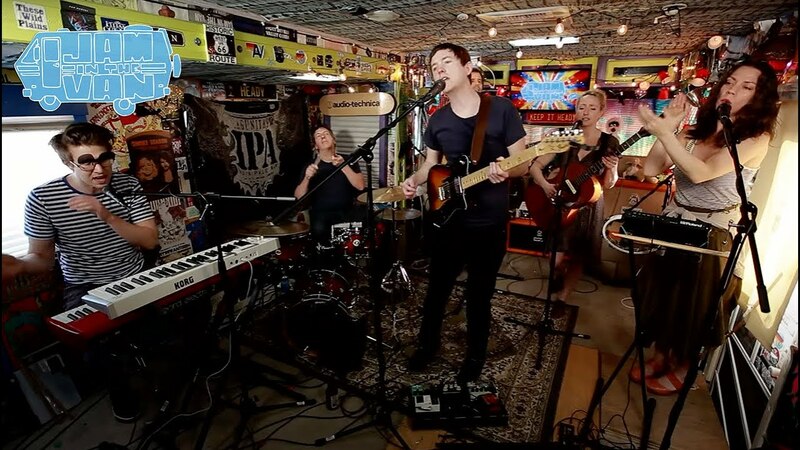 Steve Catizone: We have a great live room. We run the latest stuff, Pro Tools 12, some great hardware, some great mic pre’s, a great mic selection. It’s a relatively new situation for me. I had a studio in Boston called Sanctum Sound that was around for 15 years, then I was out in L.A. The new place has a full backline of gear, there’s a lot of toys to play with, drums, guitars, keyboards, all that stuff….We basically just hit the ground running, probably about 4 months ago in the new location. RRFC: So tell us about Scott Johnson. He’s was your student—he came through the basic and then the advanced audio programs, and then you hired him? Steve Catizone: Yeah. He’s doing his own thing. He’s doing some live sound reinforcement, and he’s doing some engineering and some teaching for me at this point too. RRFC: So what did Scott do right for you to be able to put trust in what he’s able to do? Steve: He just makes himself available for things whenever and wherever he needs to be there. Luck is preparedness meets opportunity, and anytime I’d ask him to come in to shadow or assist, he was there… Halfway through the advanced course he moved to New York, said he was going to continue [studying] out there, then when he called and told me he was going to return to Boston, I set up a quick meeting, had him come by and talked to him about what he was doing and what he wanted to be doing, and just kept in touch. He’d check in with me every now and again and just be persistent about working…[Now] he’s my go-to guy. When I have sessions, I’ll call him first. RRFC: You recently got Scott on a session with Charli XCX, right? Steve: Yeah…Universal London called and said she’s going to be in town, and she wants to work for a few hours. And I thought, “We got to get Scott in on it,” [so] if there was any other stuff that needed to be done, A&R people I needed to talk with, I’d be able to handle them and stuff, whatever’s going on, and let him do the engineering. It ended up being a simple writing session. She came in. They tracked some vocals. RRFC: That’s a huge vote of confidence you have in your apprentice to say, “Just do this session.” Steve: Yup. I told him, “It’s like anything else, she’s like anybody else. She wants to come in, she wants to do her thing; just do your thing.” RRFC: So great. How is Melvin Perdomo doing? He came from another major audio school and jumped into the advanced audio program with you, right? Steve: Yeah, he was at Full Sail. He said he wasn’t really getting much experience with them at all, and it’s funny because I went through some simple concepts with him, and it was obviously stuff that they didn’t hit with him. But his temperament is perfect. He’s a go-to guy…I kind of knew that he was going to work out from the start, and I was pretty much right, so three sessions in, I was like, you know, “We need somebody to help out.” And he’s very chill and laid back. He’s perfect. RRFC: You had another student helping out in an Audible session with Dan Savage? Steve: Shardinee Fort…I needed someone who could help out and just be, you know, have a pleasant disposition and be in the studio as well. She sat in and made herself available for whatever technical stuff needed to be done. RRFC: So let’s say I want to apprentice with you; how can I impress you, what can I do right, what skills do you want me to have coming in the door? Steve: A little bit of brains as far as not saying anything [in session]. As long as you know the full story of what’s going on and just being intuitive and having a good head on your shoulders, being smart, and being available. Recording Connection student Natalie Jansen (Los Angeles, CA) recently got the lowdown from producer Warren Huart on through mic set up and the art of recording vocals on his video series, Produce like a Pro. Recording Connection apprentices Brandyn Zellmer who apprentices with Jon Locker at Sonic Factory Studios (Des Moines, IA) recently got a text while at his cousin’s wedding. Jon wanted to know if Brandyn was interested in coming in and setting up for a famous band. That mystery band turned out to be Lady Antebellum! Brandyn says, “I set up the mics and ran the patch bay and stuff and got to meet everybody…They did a three-part harmony for it, and so that was really neat to watch them in action and seeing one by one and how everything kind of fell together.” Get the full story. 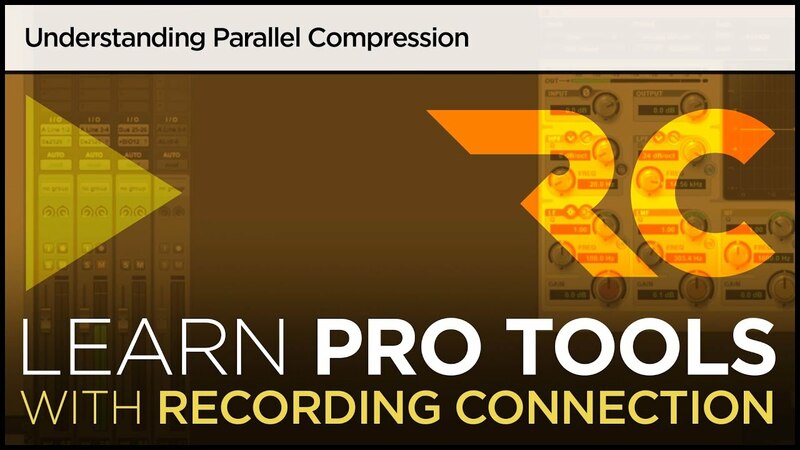 Parallel Compression got you stumped? We’ll set you straight in 5 minutes!